Bijna has a robust track record of delivering strategic, innovation and complex transformation successes for leading global Financial Services firms. With sound knowledge across products, asset classes, economic, market and commercial landscapes, Bijna influences to deliver and has a track record of building high performing teams. Bijna serves on the Boards of CIO Net and the IPQC CDO Exchange Series and is a FinTech Mentor. She is a contributing member of the EY Future of Customer Tax forum and an incoming Board Member for the Inclusive Companies Network. She is filming on the subjects of Mentorship, Leadership & Technology (2018). Bijna is a Fellow of the Royal Society for the encouragement of Arts, Manufactures and Commerce (RSA) and an Associate Member of Oriel College, University of Oxford. With a unique and diverse background, Bijna advises and advocates for a diversified portfolio of social impact, inclusion and diversity causes. She has spoken to global audiences including the London Chief Data Office Summit (Lloyds), to an audience from 37 countries (SAID Business School, University of Oxford) and served as a Judge for the Excellence in Diversity Awards in 2017 alone. She is an engaging and sought-after host and speaker. Bijna has been recognised for her contributions to include the Lloyds Banking Group Ethnicity Role Models List (2018), she received a felicitation at the House of Lords (UK), at the NRI World Summit (2017) for ‘making India proud’. 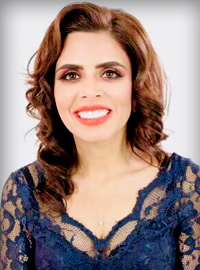 Bijna has been credited as one of the top 50 Visionary Young Leaders in Business, by Henley Business School (2017), one of 35 leading British business women under 35, by Management Today, Accenture and The Telegraph (2015) a Rising Star by We Are the City (2013) and has received recognition with nine further honours including the National Diversity Awards (2012) and the Asian Women of Achievement Awards (2010). Bijna has also been honoured as the International Women’s Day Young Achiever of the Year (2006).